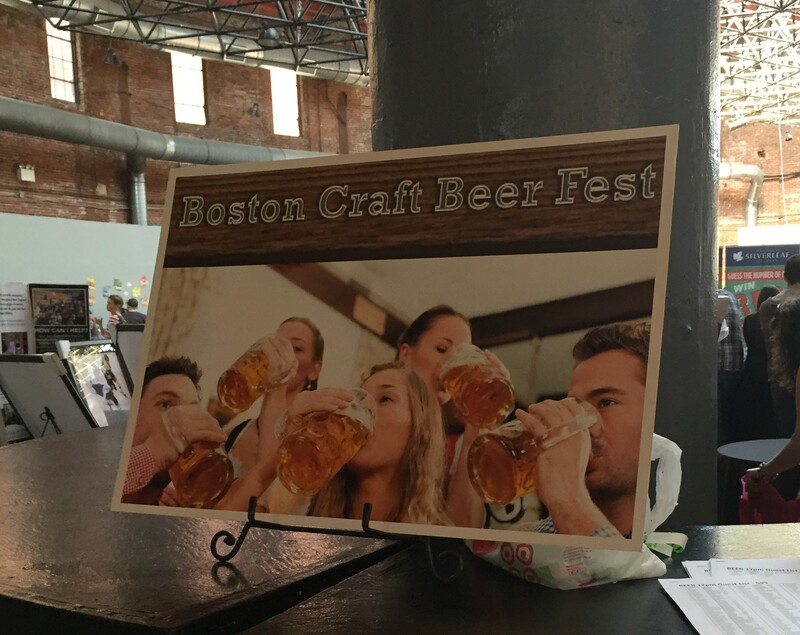 Wicked Wine Fest and Boston Craft Beer Fest, Spring 2015 – Breweries, Wineries and the fun in between! 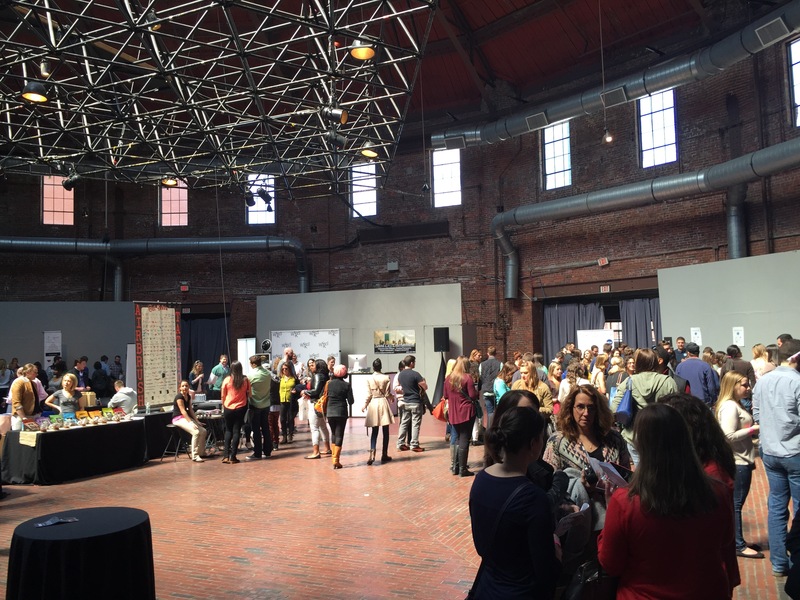 We were lucky enough to be asked to attend the Boston Event Guide‘s Wicked Wine Fest and Craft Beer Fest for Spring 2015. 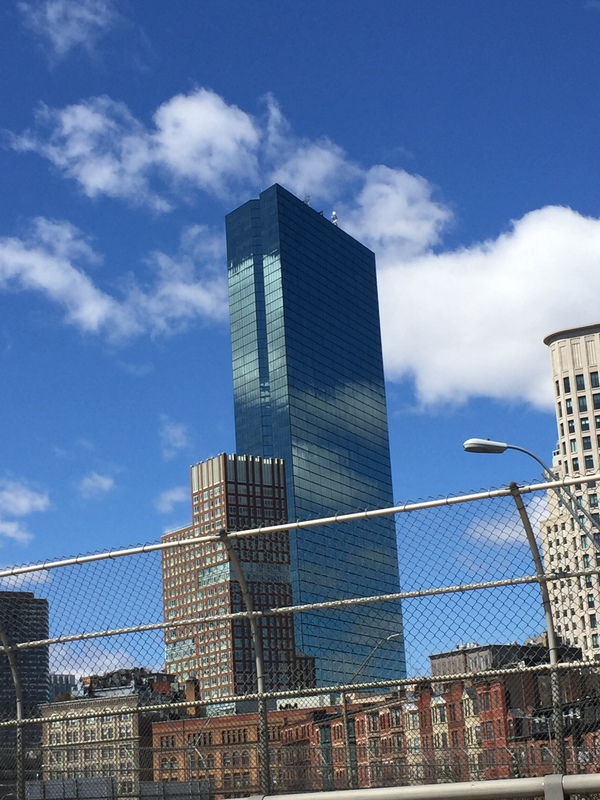 On our way to the Wicked Wine Fest we got this cool picture of the Hancock tower in Boston. 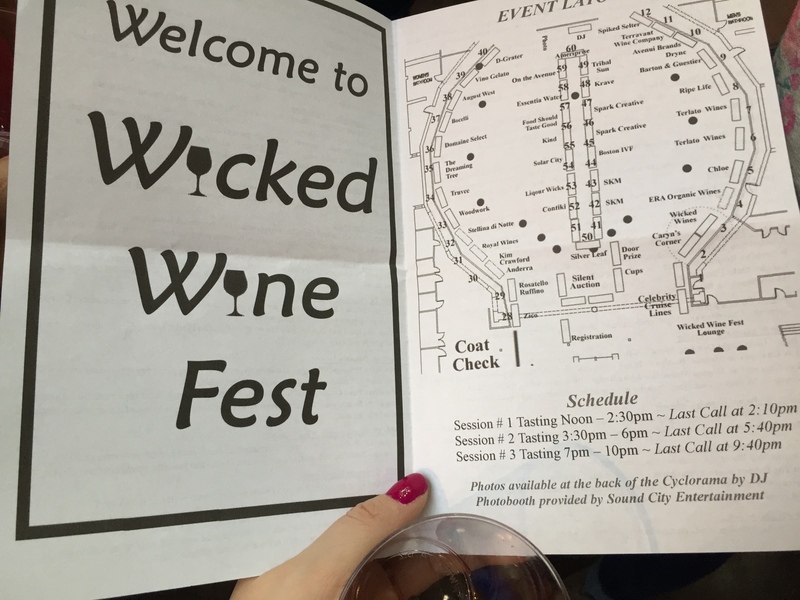 When we entered both the Wicked Wine Fest and the Craft Beer Fest, we were given a map and list of all the wines/beers, as well as a small plastic cup for sampling. We both liked this wine, a good sweet Mosacto. 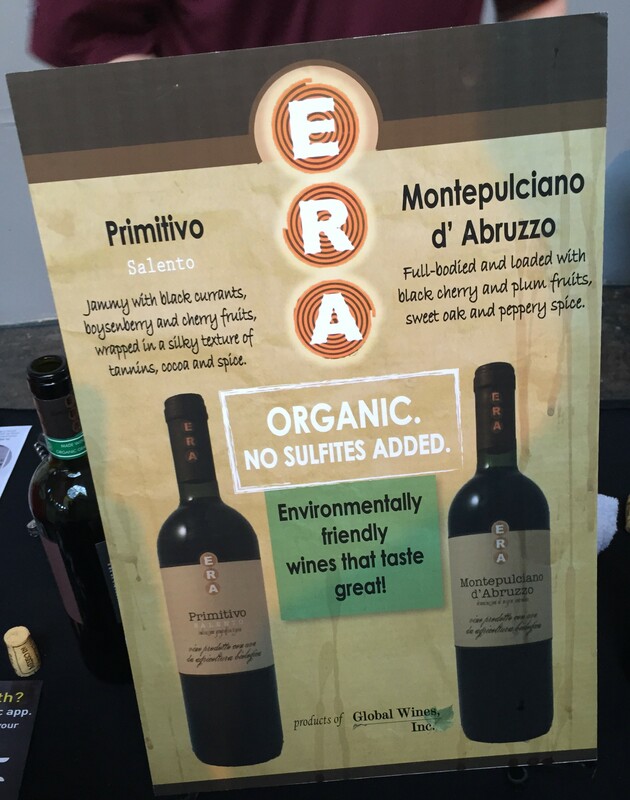 This sounded like an interesting blend, and we enjoyed it. We tried this for the first time last fall at the beer fest. Good tasting seltzer with alcohol in it. They have Lemon Lime, Orange, Grapefruit, and Cranberry for flavors. We like this, a good summer drink, goes down like a Seltzer and not overly sweet like some other summer drinks. We have heard that you can purchase it in Market Basket, so we will be on the lookout. Probably Megan’s favorite ‘tasting’ of the day, Vino Gelato! 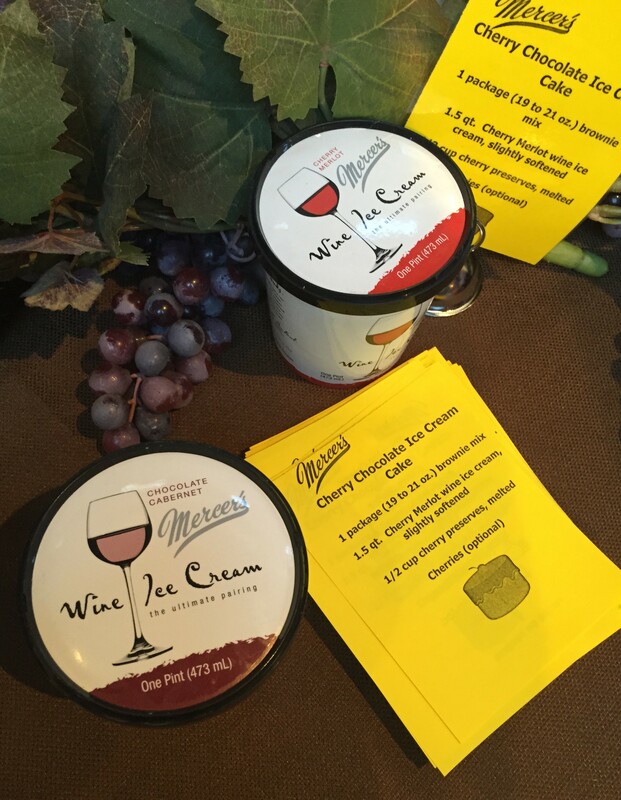 This gelato is made from wine and was delicious! 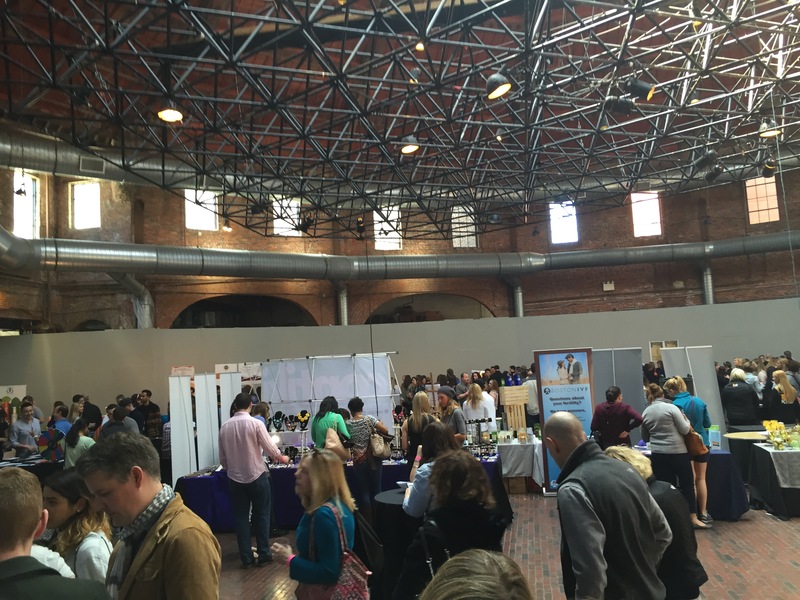 Both festivals are held in the Cyclorama. 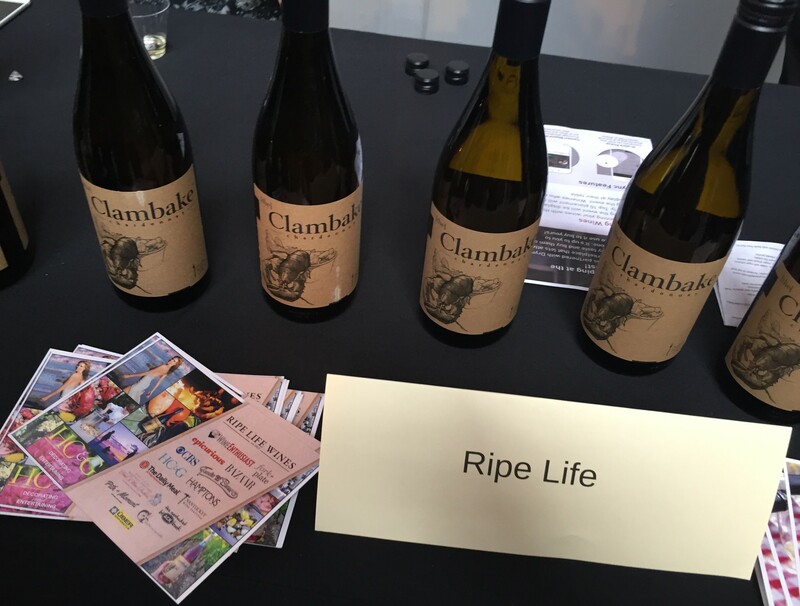 It is a cool atmosphere, and a large circular room, so it works well for a tasting. 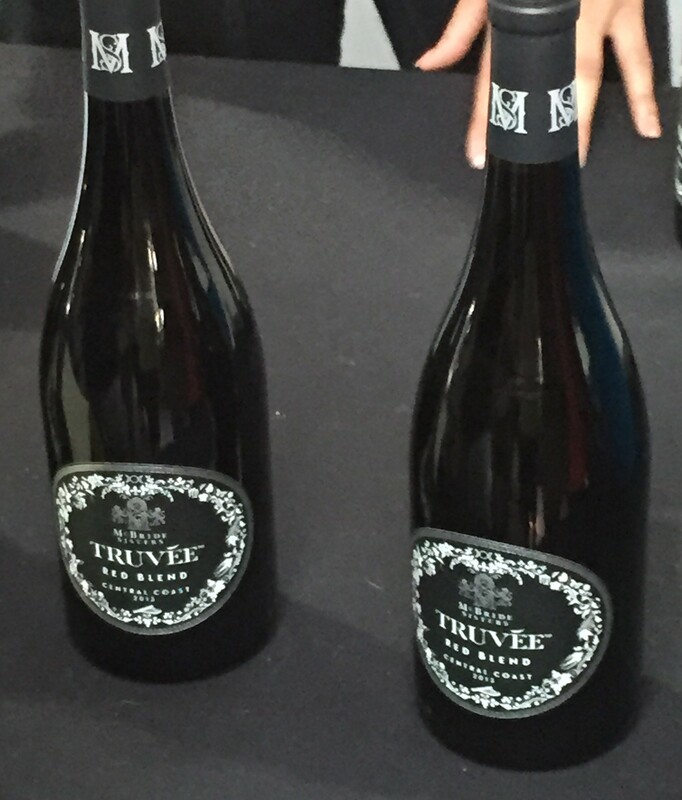 The real downfall to the wine event were the sample pours were very small. At most tables we got really just one sip, so it is kind of hard to judge the wine on just a sip. Then, because of the small pours, everyone would get right back in line. So there was a lot of waiting in line and not a lot of sampling. 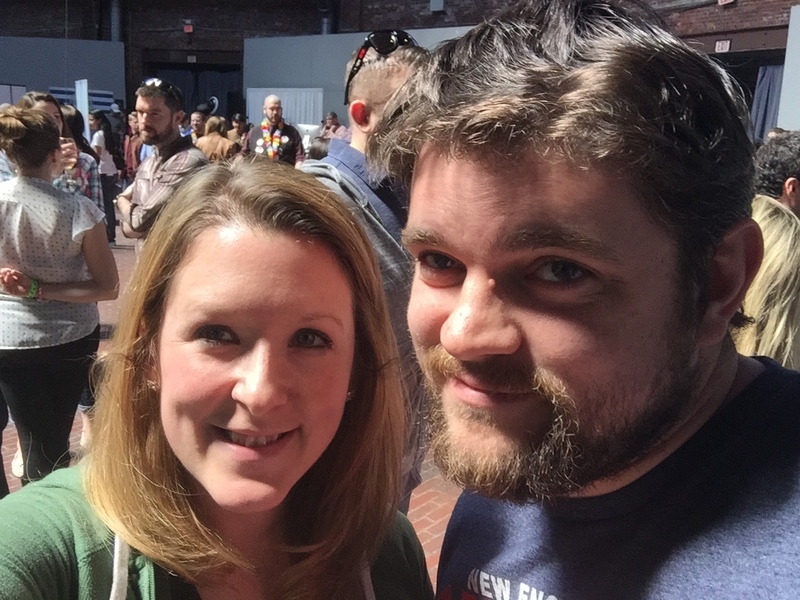 From the Craft Beer Fest, outside of the Cyclorama, waiting in line, moved pretty quickly. Pretty good, very light and refreshing. 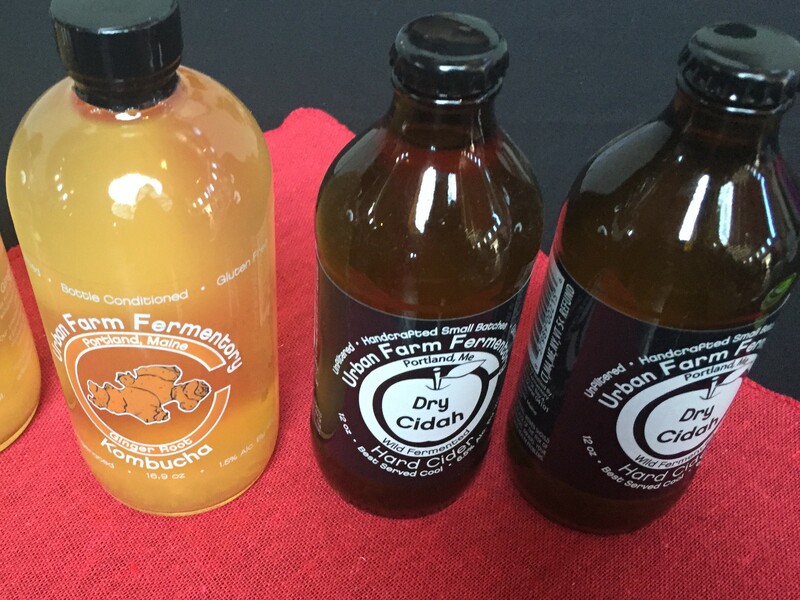 Dry Cidah and Kombucha from Urban Farm. We like there stuff as well, fresh and mostly dryer ciders. 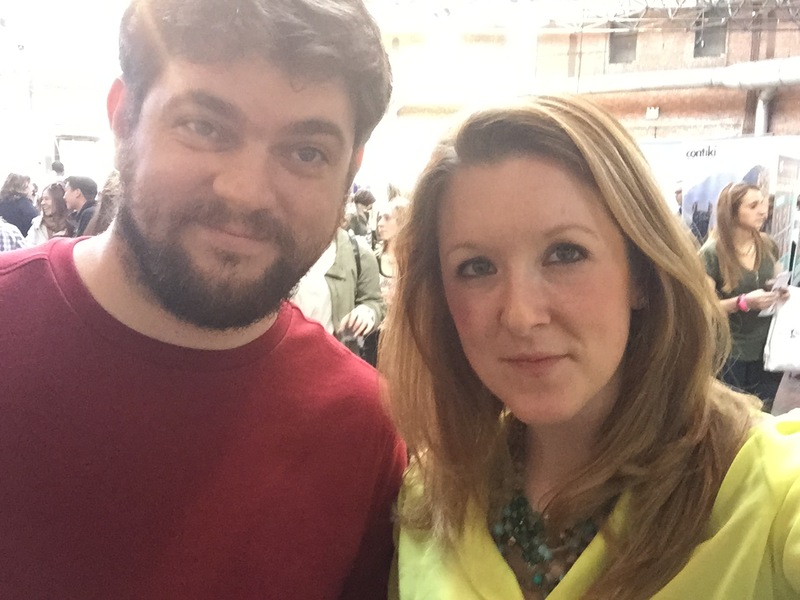 Megan and Mark at the tasting. 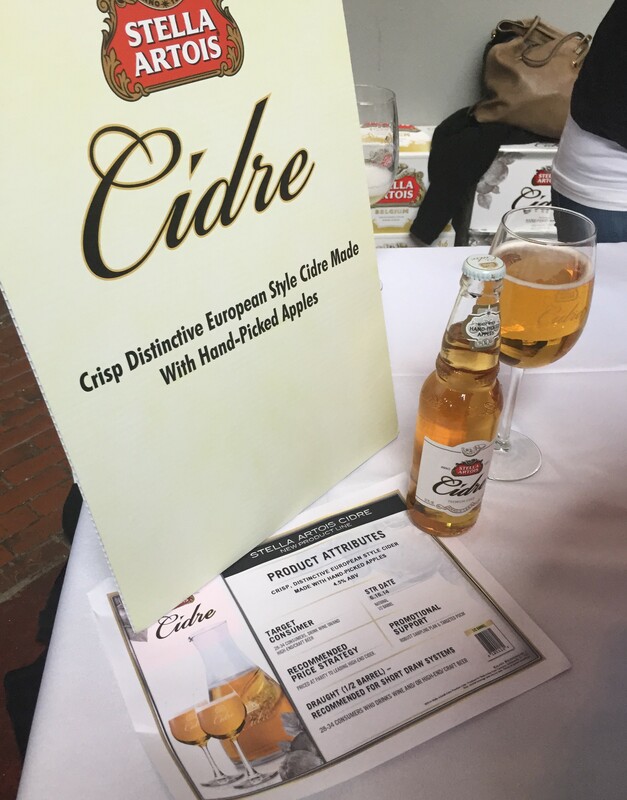 This is our favorite cider we have had. It’s like real apple cider, not a sugary light version. 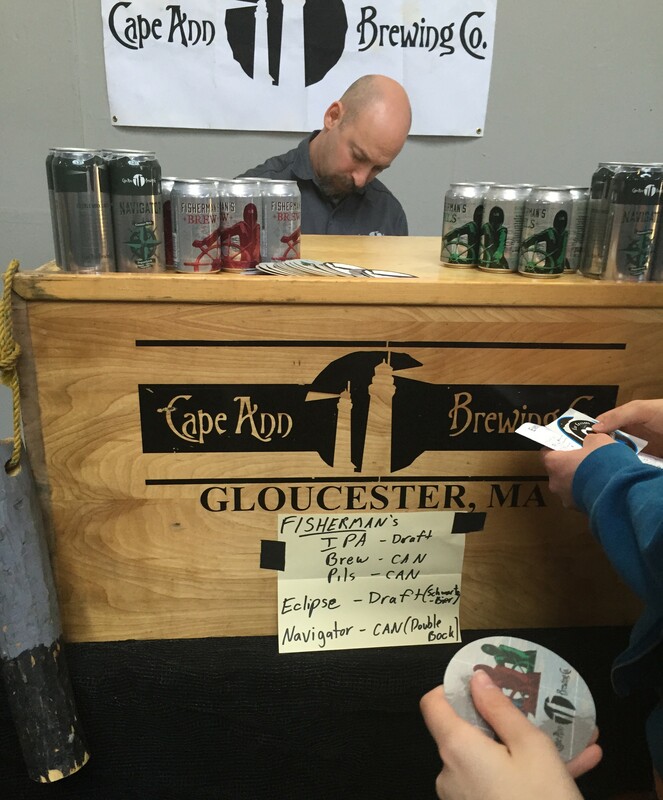 Cape Ann Brewing Company was there as well! 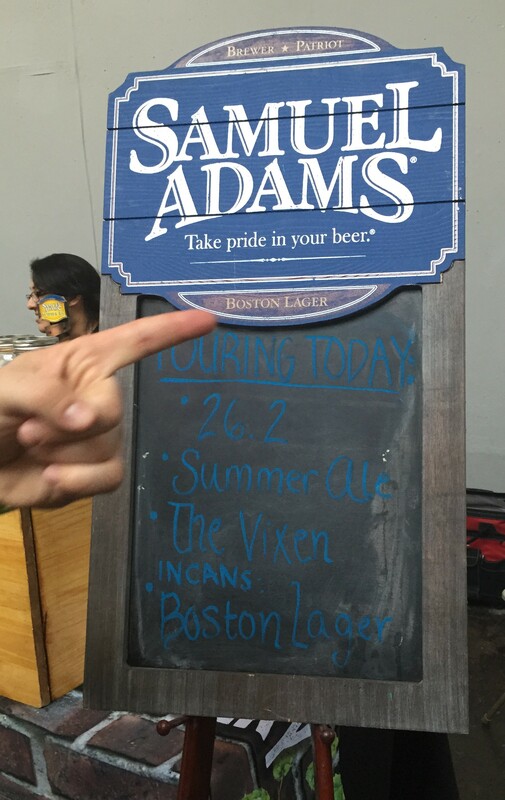 By Sam Adams, The Vixen and 26.2 were both beers we haven’t had before, they were both pretty good. 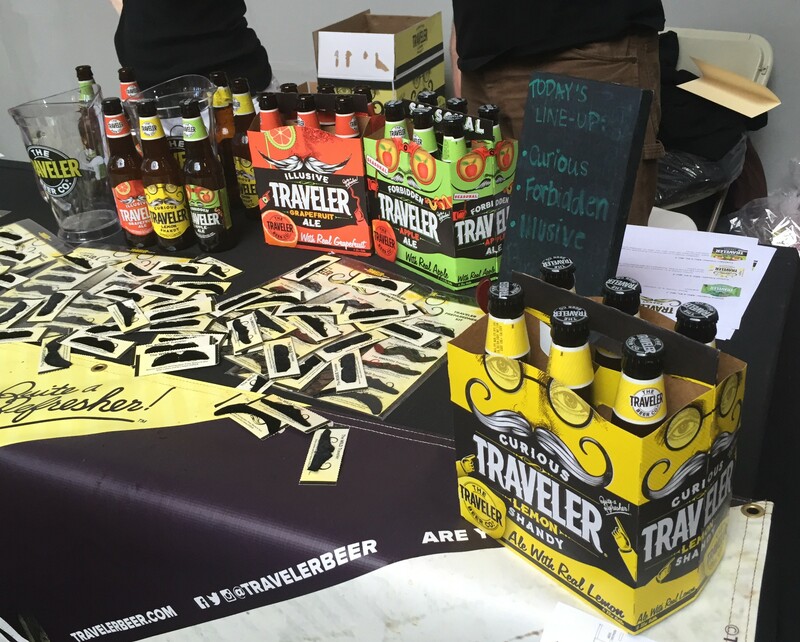 Curious Traveler is one of Megan’s favorite summer beers, but we hadn’t tried all that the Travleler Beer Company had made. Now was our opportunity! We tried both Illusive (grapefruit) and Forbidden (apple). Megan liked the Illusive! 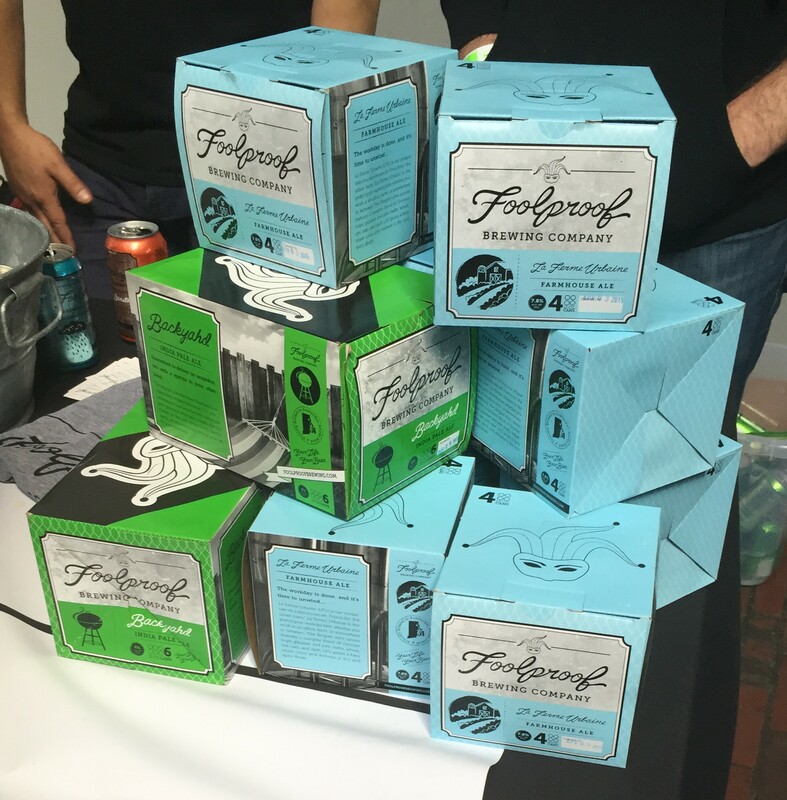 We learned about Foolproof at the last tasting, we liked all their beers. 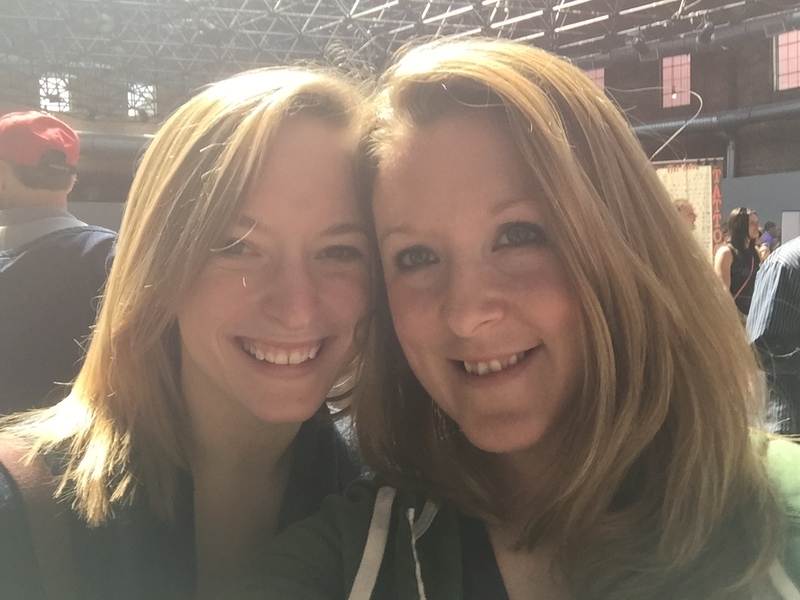 They are in Rhode Island, so we can’t wait to visit. Taylor and Megan enjoying the tasting. 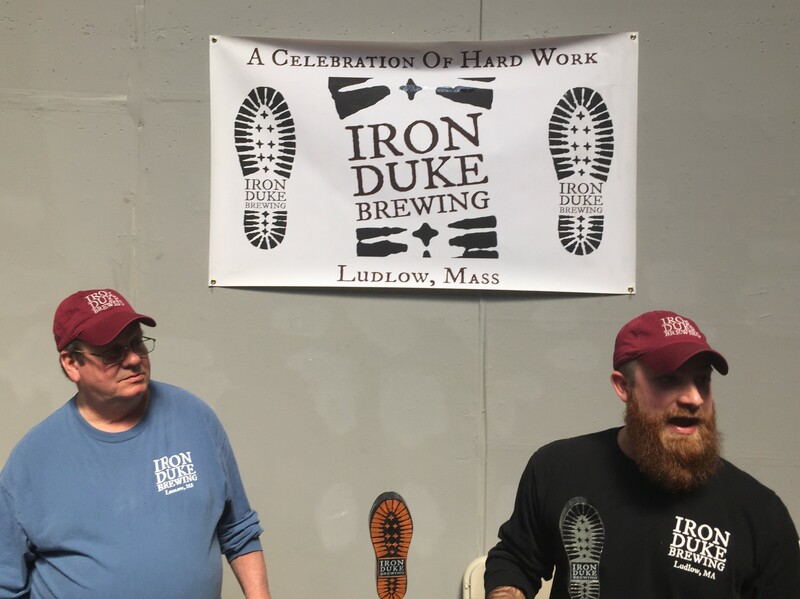 Iron Duke Brewing- also local! Can’t wait to try them out! These we just some of the beers we tasted. 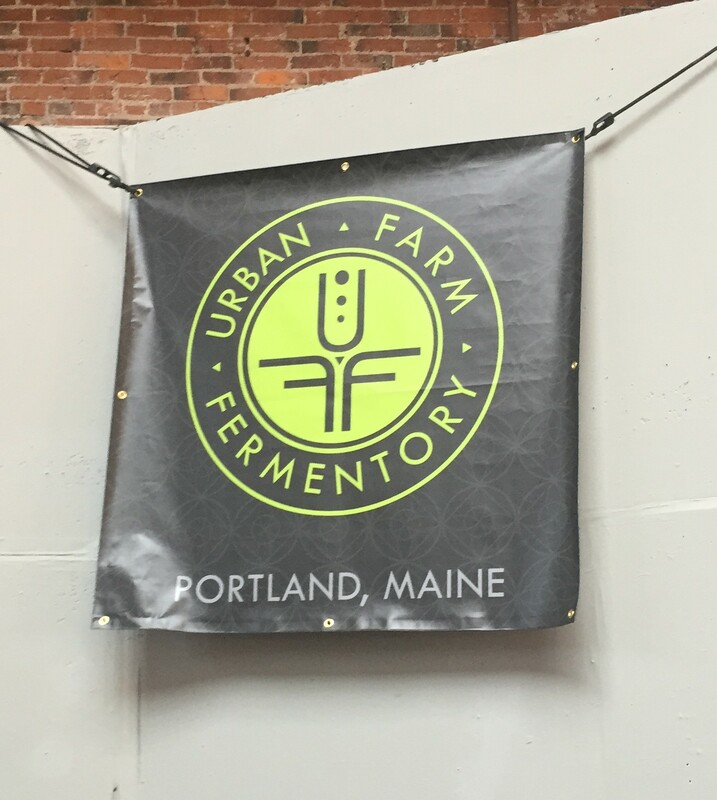 This was a good event, not too crowded, the lines weren’t very long, a good variety of breweries and beers. Taylor came in second place in the dance contest. 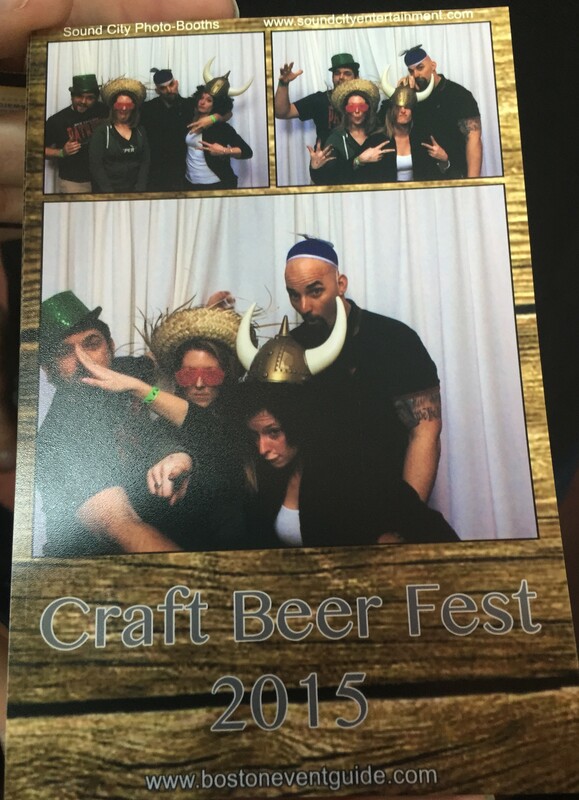 We got a free round of pictures in the photo booth. Want to go next Fall or Spring? 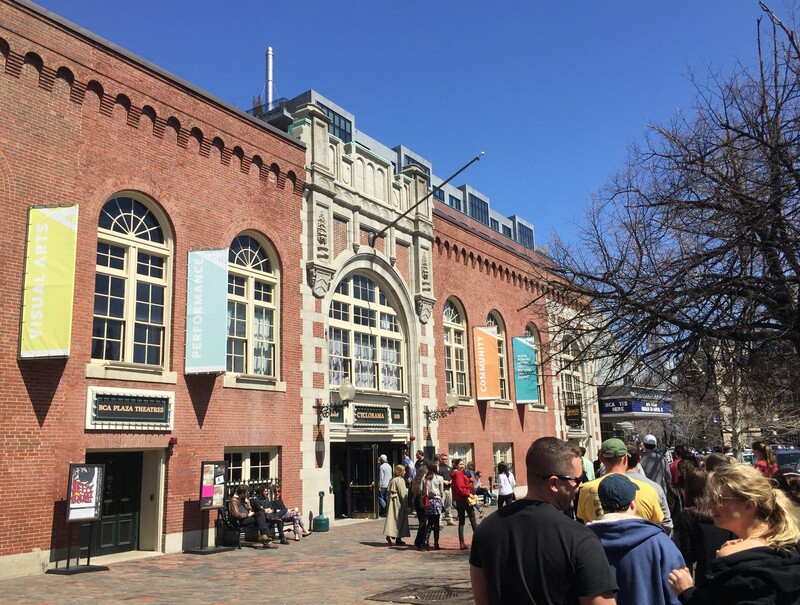 Check out Boston Event Guide’s site! 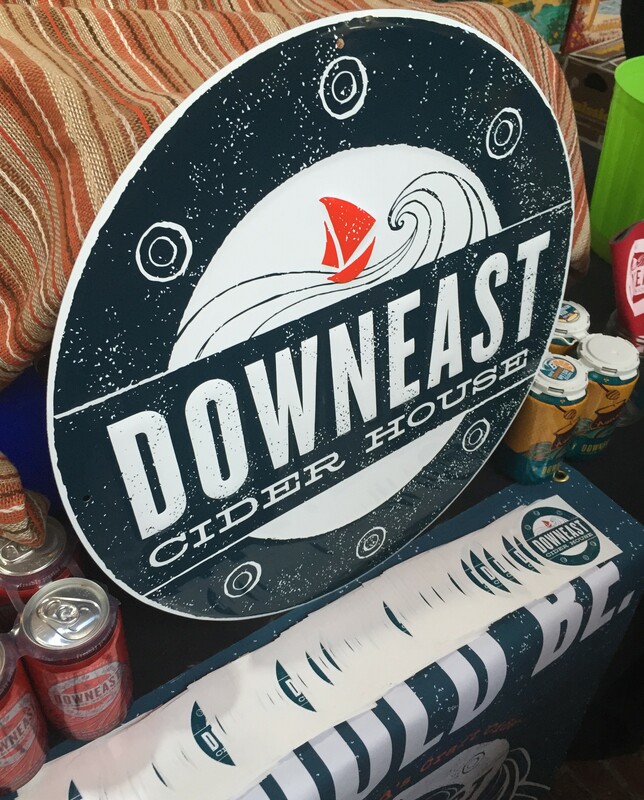 They always have something fun going on, including tastings, booze cruises, trips and more! Check them out! 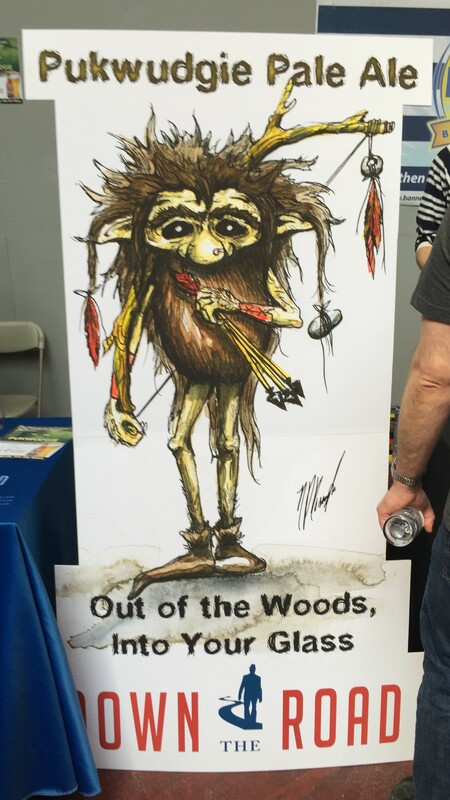 Hope to see you there next time! 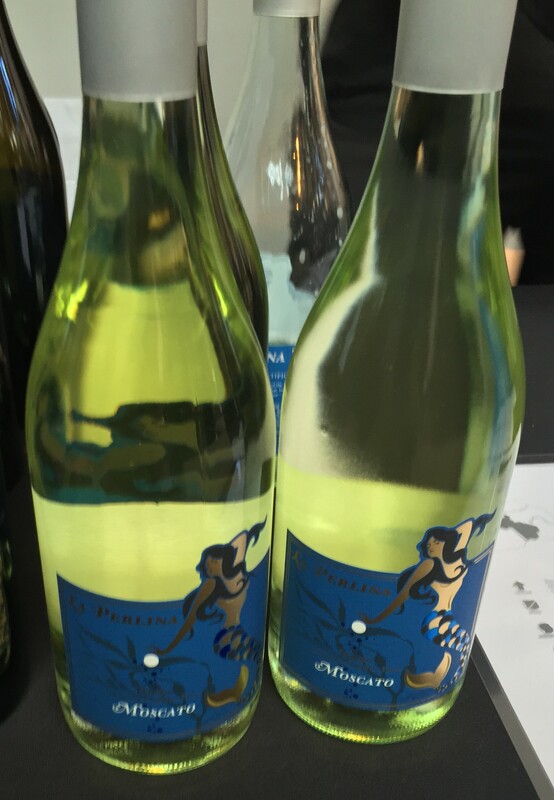 Pingback: Wicked Wine Fest & Craft Beer Fest! 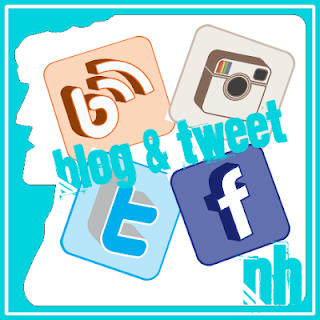 | Breweries, Wineries and the fun in between!